We Have 3061 Models. Need help finding your model number? This is a genuine OEM replacement part sourced directly from LG. This replacement part is commonly used in air conditioners. A thermistor is a temperature sensor inside your air conditioner. The main purpose of this part is to measure the temperature and to report back to the unit through a resistance signal. This allows the air conditioner to make the adjustments required to maintain a certain temperature. Signs your thermistor needs to be replace are that if the air coming out of your air conditioner is cool instead of cold, if cold air will only come from the unit intermittently, or if your air conditioner stops blowing air all together. This thermistor measures approximately 1/4 of an inch in height, a 1/4 of an inch in width, and 22 inches in length. This replacement part is sold individually. This is an authentic LG replacement part. This cross flow fan assembly is commonly used in air conditioners. The main function of this part is to create a wide and even flow of air in order to keep components from overheating. This fan can be mounted horizontally or vertically. This fan is made of metal, and it is sold individually. 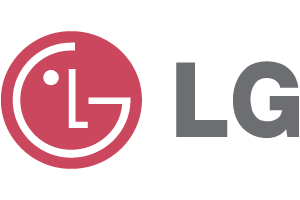 This is an authentic OEM replacement part sourced directly from LG. This axial fan assembly, also known as a condenser fan, is commonly used in air conditioners. This compact propeller like fan fits on the motor shaft and circulates air over the condenser to help cool off the refrigerant. This fan blows air parallel to the motor shaft that the blade rotates on, which is why it is able to successfully circulate the air over the condenser. This fan is made out of white plastic, and it is sold individually. Make sure you unplug the air conditioner before you start this repair.